Wildflower gardening has become increasingly popular, with more people interested in growing our own very beautiful native plants. They are being recognised as a great resource for all parts of the garden, and not just the 'wild' garden, although this is deservedly getting increasing attention. With hedgerows, woodland and hay meadows continually disappearing under the onslaught of construction and modern farming methods, the sight of our native flowers is fast becoming a memory to many people. 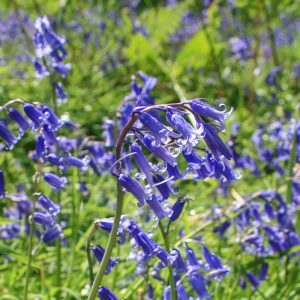 Including Native Bluebell, Wild Daffodil, Snakes Head Fritillary, Wild Tulip, Wood Anemone. 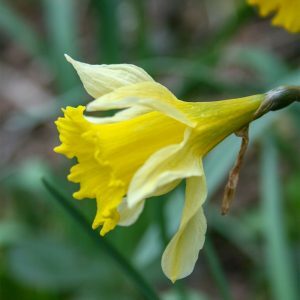 We have been growing native bulbs on our Welsh smallholding since 1986 and can guarantee that none of our bulbs have been taken from the wild.Most of them are easy to grow and will increase readily when given the appropriate conditions. All bulbs are mature and of flowering size. Many non-native hardy bulbs can be used for naturalising in woodland and meadow. 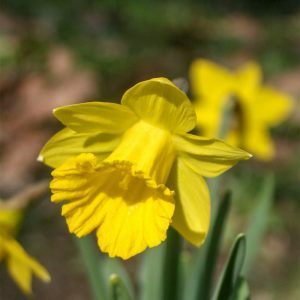 Varieties of daffodil (the two native species are included under Native Bulbs), squills and crocus are prime examples. There are also other species from different temperate regions that can also be established as a mass planting or in groups. 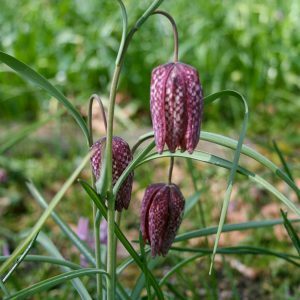 To compliment our bulbs we grow some other native plants for woodland, wetland and meadow situations. Being native, and therefore hardy, they will naturalise and spread given conditions they like. All plants despatched are fully grown stock.